Warrior scales meet the demands of washdown and clean room environments in most applications, including food, pharmaceutical, veterinary, industrial and manufacturing tasks. 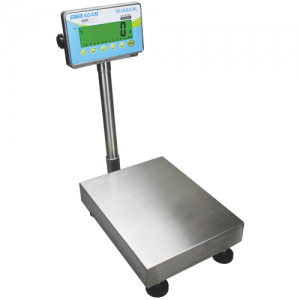 Featuring an IP66-rated stainless steel base and sealed indicator, the scale is durable and easy to clean. 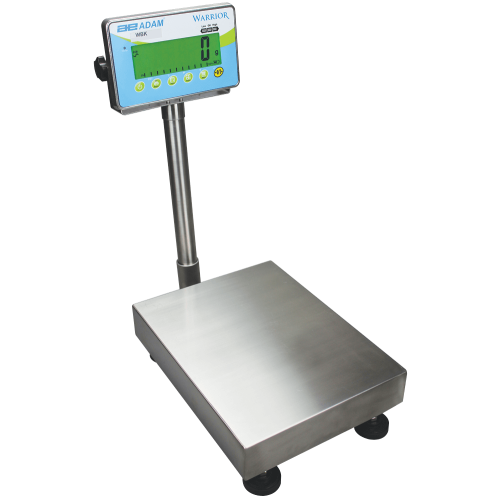 A dynamic weighing function facilitates liquid measurement in laboratory use, while checkweighing with colored LED lights simplifies repetitive sample weighing. With data output via a RS-232 interface and optional relay triggers, the Warrior can be set to control other devices. With strength, performance and intuitive features, the Warrior emerges victorious in washdown settings.